In light of Hurricane Lane approaching our islands, we are postponing our panel discussion at the Surfjack. We want to give our panelists and attendees the opportunity to participate freely rather than worry about disaster prep - or the decision on whether to attend or not. Mahalo to those who have RSVP’d. 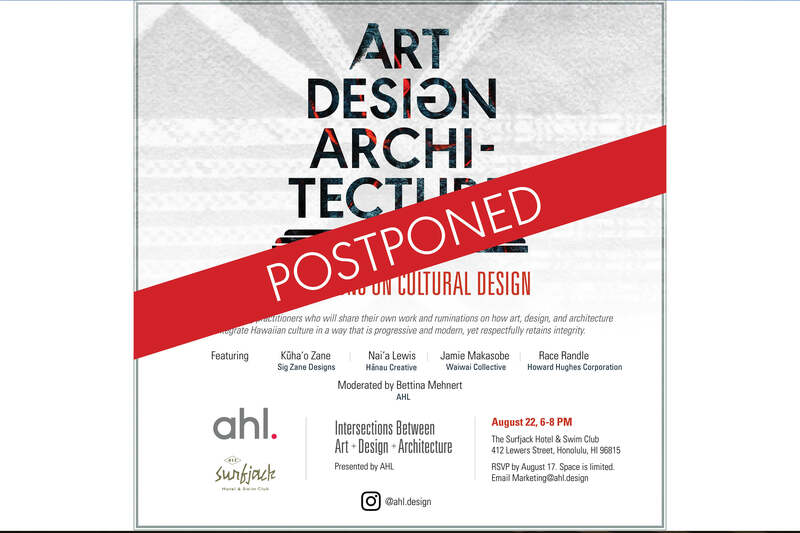 Stay tuned for the rescheduled event date. Aloha and please be safe!